Will be closed on February 4th, 12th, 18th, 25th-28th, March 4th, 11th, 18th. 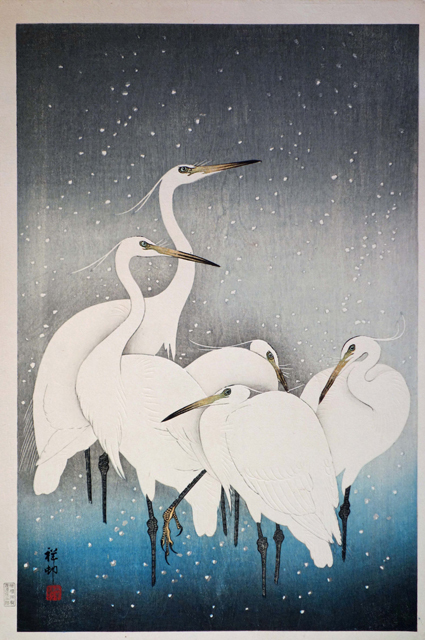 The hottest artist, Ohara Koson. 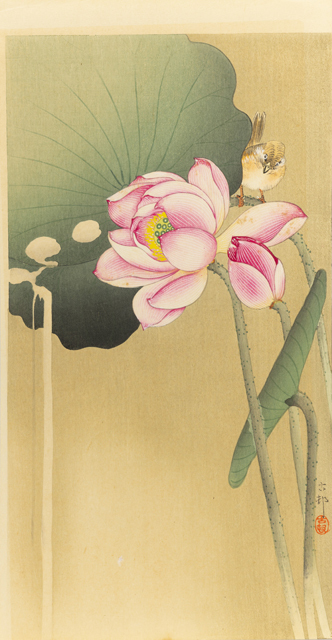 Ohara Koson (1877-1945) was a kacho-ga artist active from the end of the Meiji period and through the Taisho and Showa periods. 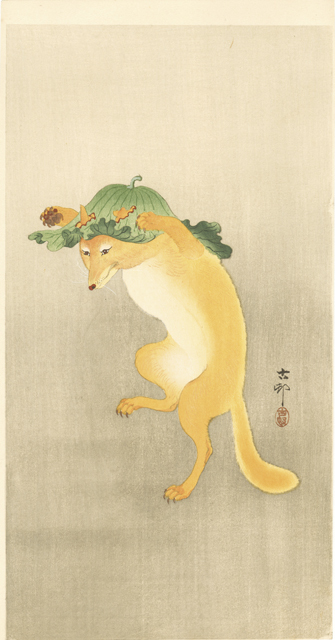 Although there are many collectors of Koson and exhibitions are held abroad, he is hardly known in Japan. 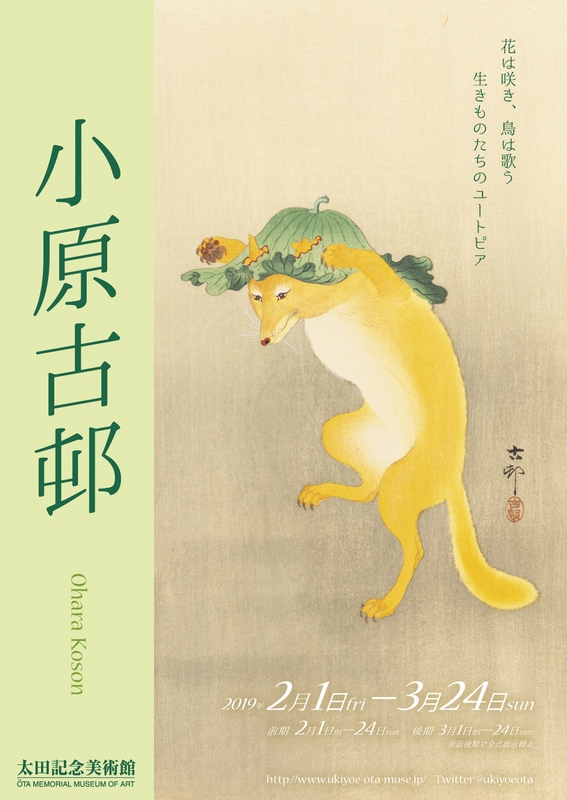 However, in September 2018, an exhibition “Ohara Koson – An Eden of Flowers and Birds” was held at Chigasaki City Museum of Art. 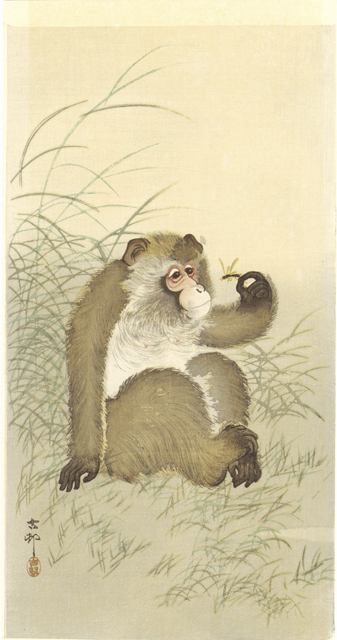 Moreover, an E-Television program showcasing Koson and the exhibition was broadcast, and suddenly he has been drawing attention. In addition, a string of books about his art will be published, and in the current booming Japanese-style art world, without doubt, he is an artist on the edge of breaking through, and set to rise in popularity in his native Japan. 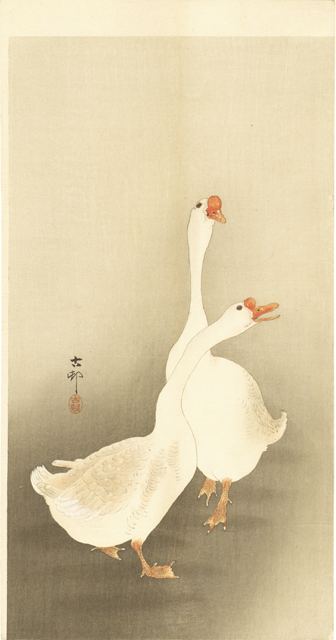 The major characteristic of Koson’s works is how he so elegantly expressed natural motifs such as birds, animals and flowers using woodblock print techniques. 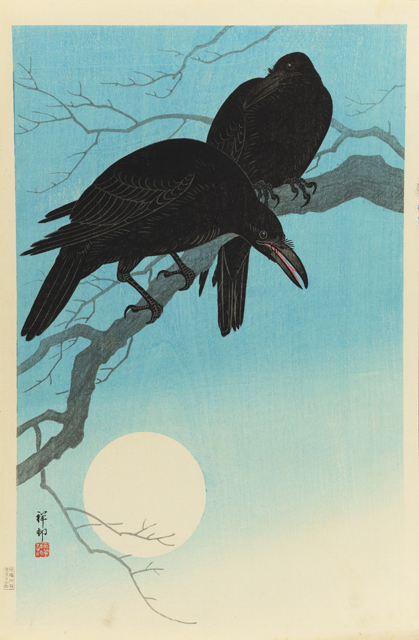 Actually, at first glance his works do not look like woodblock prints. 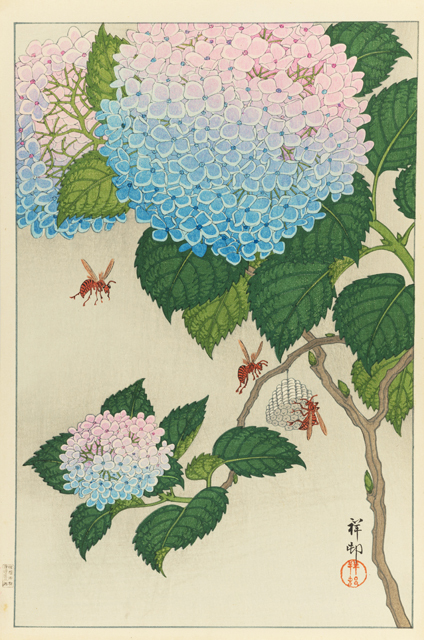 However, based on the ukiyo-e print skills honed since the Edo period, he succeeded to express pale and beautiful colors as if they were watercolor paintings. His works can be loved not only by animal lovers, but also by everyone who appreciates art. 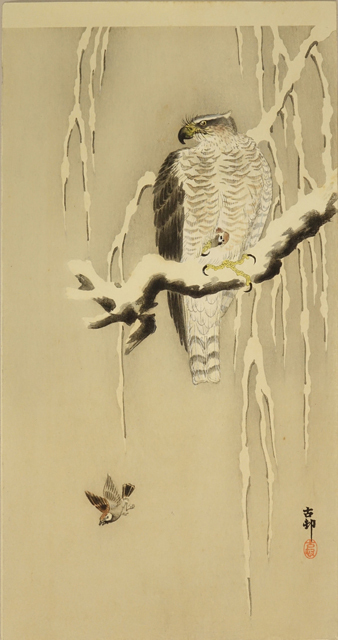 This is the first exhibition to introduce the complete world of Ohara Koson in Tokyo. We will exhibit about 150 pieces, including works with the seal of Koson published by Matsuki Heikichi from the end of the Meiji period to the Taishō period, and shin-hanga works with the seal of Shōson published by Watanabe Sōzaburō in the early Shōwa period. In addition, hand-painted base pictures and test prints allowing a deeper understanding of Koson’s production process will be introduced. The exhibits will be changed between the first term and the second term. 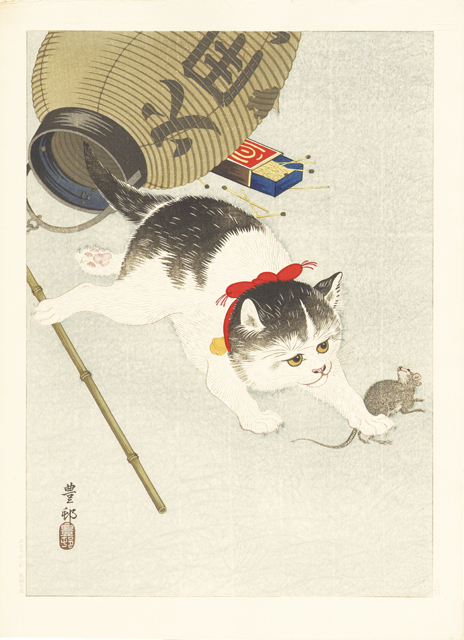 Copyright© Ōta Memorial Museum of Art.